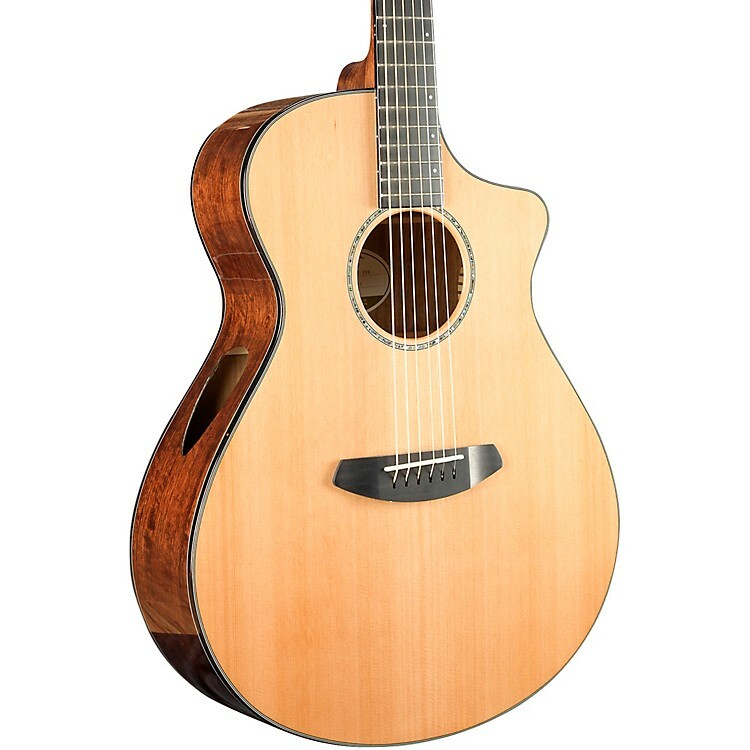 The Breedlove Solo Concert Acoustic-Electric Guitar is designed to personalize your playing experience. Each Solo guitar has a Side Monitor Soundhole that virtually puts your ears in the audience while you play, without diminishing the forward sound projection of your music. The Solo removes the frustration of not being able to hear your playing. This is the right guitar if you want a more intimate experience with your instrument, while maintaining the ability to play live. It's also perfect for intermediate to advanced players who want the perfect at home songwriting guitar with an option to play live. You'll enjoy the warmth of red cedar and the bass emphasis of ovangkol that blend to produce warm note-for-note clarity and balanced sound. Plugged in, the LR Baggs EAS VTC System, featuring a USA-made quartz piezo, supplies a great acoustic tone while resisting feedback. Includes gig bag.